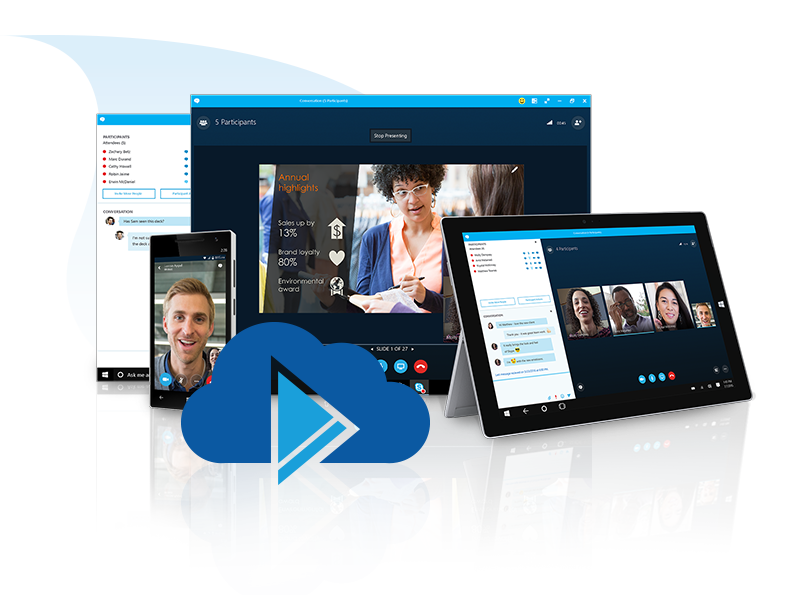 Cloud Connect® is a seamless way to deliver enterprise calling and conferencing services through Skype for Business. With Cloud Connect, organisations can transform Skype into a modern PBX phone system, enabling external calling via Australian phone numbers. Cloud Connect is a pure cloud solution that works across all devices and locations. Say goodbye to costly on-premise infrastructure. 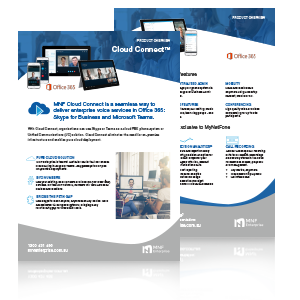 Cloud Connect makes good on the potential of Office 365 by enabling true cloud communications. Use Skype to reach anyone, anywhere on any device. Calls are delivered via our global network, bridging a key functionality gap for Skype users. Use Skype for Business as a cloud PBX. Replace legacy phone systems and get even more value from your Office 365 licenses. Make and receive calls within Office 365 and native O365 applications. Use your existing local and toll free numbers – or create a new dial plan. Make and receive voice or video calls in Australia, and worldwide. Call transfer, call waiting, music on hold, team ring groups - and more. Make / receive calls anywhere using mobiles, desk phones or PCs. HD voice and video conferencing for up to 250 participants. Requires an Office 365 subscription (E5 plan) - sold separately. Extend your cloud phone system into Salesforce CRM. 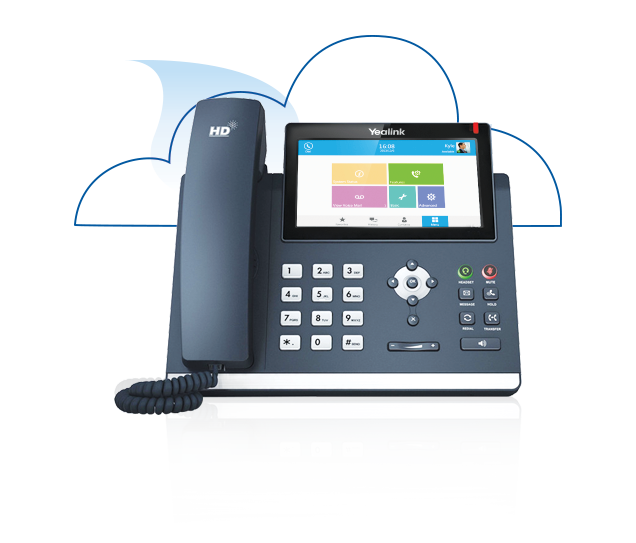 Benefit from an integrated dialler, incoming call recognition and click-to-call functionality. Add cloud recording features to Skype for Business. Recordings are securly stored in the cloud for seamless access, playback and management. Add call analytics to your Skype for Business phone system. Measure and report on every call. Empower you managers with rich, relevant data.